I am pleased to wish a very Happy Purim to our Jewish friends across the globe. 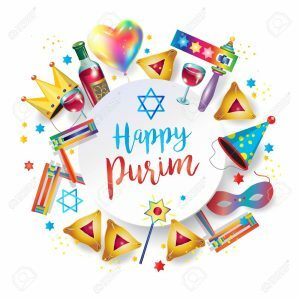 Purim is one of the happiest of holidays of the Jewish people; it is the story of freedom from the anxiety of being annihilated. This story has reference to a point in history where an evil man plots to exterminate the Jews, but the Persian king is persuaded by Esther otherwise. It was a significant victory and thus the celebration. Happy Purim. On Purim, Jewish people emphasize the importance of Jewish unity and friendship by sending gifts of food to friends. The story of Purim is told in the Biblical book of Esther. The heroes of the story are Esther, a beautiful young Jewish woman living in Persia, and her cousin Mordecai, who raised her as if she were his daughter. Esther was taken to the house of Ahasuerus, King of Persia, to become part of his harem. King Ahasuerus loved Esther more than his other women and made Esther queen, but the king did not know that Esther was a Jew, because Mordecai told her not to reveal her identity. The villain of the story is Haman, an arrogant, egotistical advisor to the king. Haman hated Mordecai because Mordecai refused to bow down to Haman, so Haman plotted to destroy the Jewish people. In a speech that is all too familiar to Jews, Haman told the king, “There is a certain people scattered abroad and dispersed among the peoples in all the provinces of your realm. Their laws are different from those of every other people’s, and they do not observe the king’s laws; therefore it is not befitting the king to tolerate them.” Esther 3:8. The king gave the fate of the Jewish people to Haman, to do as he pleased to them. Haman planned to exterminate all of the Jews. Mordecai persuaded Esther to speak to the king on behalf of the Jewish people. This was a dangerous thing for Esther to do, because anyone who came into the king’s presence without being summoned could be put to death, and she had not been summoned. Esther fasted for three days to prepare herself, then went into the king. He welcomed her. Later, she told him of Haman’s plot against her people. The Jewish people were saved, and Haman and his ten sons were hanged on the gallows that had been prepared for Mordecai. The book of Esther is unusual in that it is the only book of the Bible that does not contain the name of G-d. In fact, it includes virtually no reference to G-d. Mordecai makes a vague reference to the fact that the Jews will be saved by someone else, if not by Esther, but that is the closest the book comes to mentioning G-d. Thus, one important message that can be gained from the story is that G-d often works in ways that are not apparent, in ways that appear to be chance, coincidence or ordinary good luck.